And much more! Please come and join the discussion. This event is on the record and open to the media. 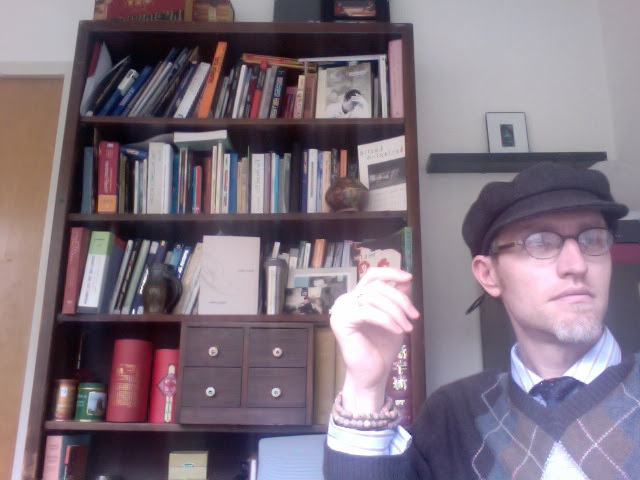 Dr. Jonathan Stalling is Professor of English specializing in East-West Poetics at the University of Oklahoma, where he is a founding editor of Chinese Literature Today magazine and book series and the Curator of the Chinese Literature Translation Archive at the University of Oklahoma Library. He is also the Deputy Director of the Center for the Study of China’s Literature Abroad at Beijing Normal University and was the 2015 Poet in Residence at Beijing University. Dr. 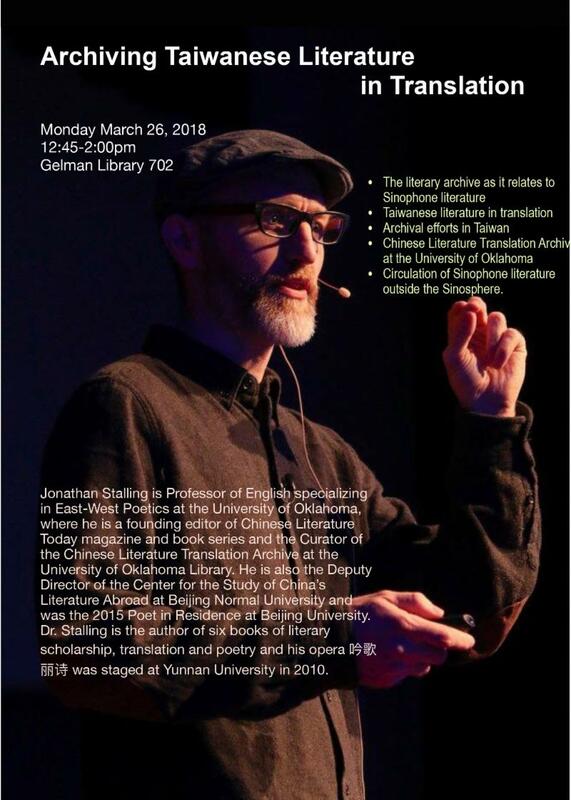 Stalling is the author of six books of literary scholarship, translation and poetry and his opera 吟歌 丽诗 was staged at Yunnan University in 2010. This event is co-sponsored by GW’s Department of East Asian Languages and Literatures, the Sigur Center for Asian Studies, and the Taiwan Academy.